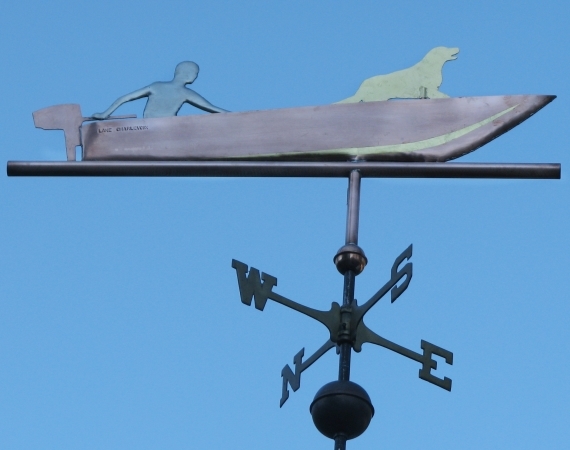 Our Boat Weathervane with Driver and Dog was originally commissioned by a couple living in a lakefront cottage. They had always wanted a weathervane for lake viewing and when it came time to re-roof the cottage they took advantage of the opportunity to order their weathervane and install the cupola flange during the roofing project. We do have very good bracket systems for mounting without removing the roof, but this was such an ideal opportunity to get deep in the bones of the building. 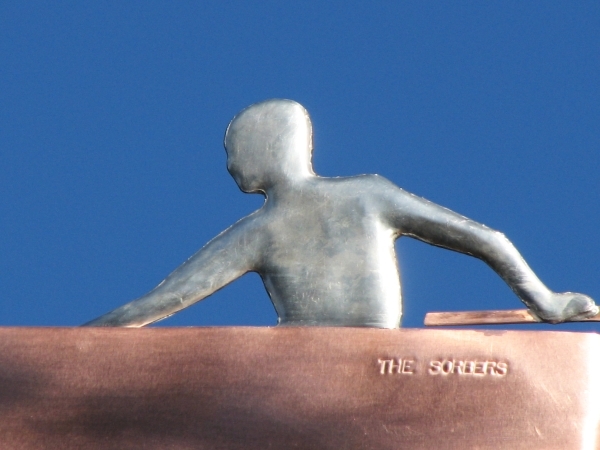 The copper sculpture piece and figures are constructed in a combination of styles. The motorboat and male figure are swell bodied, while the dog and boat motor are in silhouette. 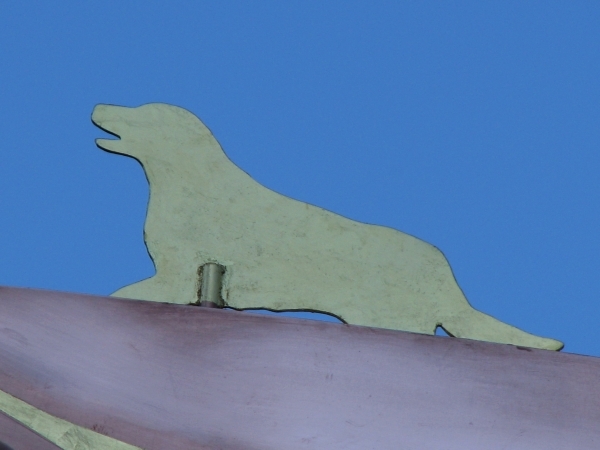 For this order optional gold leafing was requested for the dog, the man, and the water line. These bright, non-ferrous spots will remain a lovely, eye-catching contrast to the copper as it gradually darkens and then patinas through the years. The boat has been inscribed with the family name on one side and the lake name on the other. Inscriptions can also be done on the horizontal tube. Some customers also choose to have ‘lucky pennies’ from years of importance sealing the ends of the horizontal tube. It took some consideration to decide the right size for this customer’s weather vane. In the end we all decided that a large would work to the best effect. The considerations that got us to a large were the thin shape of the design, the second story location, and the busy background of forest. 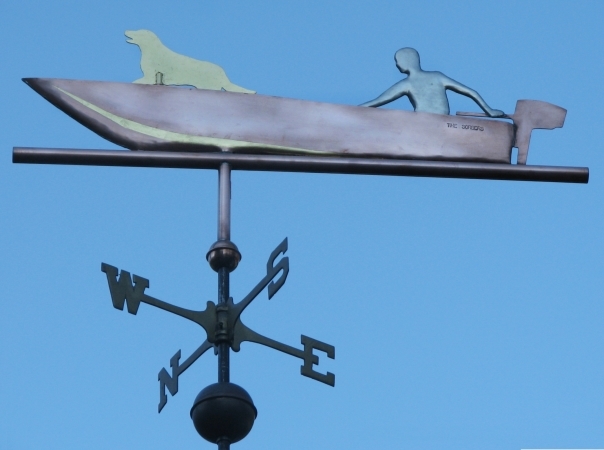 All of our weather vanes are made to order and we are happy to work with you to personalize any of our designs. This piece could easily have a different breed of dog, or a female captain.